On 27 July biathlon legends Darya Domracheva and Ole Einar Bjørndalen test-drove the world’s biggest dump truck. Visiting BelAZ enterprise, the Belarusian manufacturer of haulage and earthmoving equipment, they took the company’s monster truck for a spin. The famous Belarusian-Norwegian biathlon couple has broken the ice in the complicated relations between the two states. They spend a significant amount of time in Belarus, sharing their pictures with numerous Instagram followers. Political disagreements on issues of democracy and human rights in Belarus traditionally impede bilateral relations with Norway. Yet Norway has provided consistent and generous support to Belarusian NGOs and independent media outlets. Moreover, in the cultural sphere, the Belarusian-born singer Alexander Rybak won the Eurovision song contest for Norway in 2009. At present, official inter-state relations between Belarus and Norway remain relatively weak. In particular, no high-profile visits have occurred between the two states over twenty-five-years of diplomatic relations. Norway consistently criticises the Belarusian regime for violations of human rights and has supported EU-imposed sanctions on Belarusian officials, including President Alexander Lukashenka. Although diplomatic relations exist, partnership between the two states remains insufficient. Neither Belarus nor Norway possesses proper mutual diplomatic representatives. The Norwegian Embassy in Kyiv deals with Belarusian issues, including long-term stay visas, while the Belarusian Embassy in Stockholm covers Norwegian affairs. The Belarusian-Norwegian trade partnership looks slightly better. In 2017 Belarus became the second biggest consumer of Norwegian salmon after Japan. Moreover, since 2014, Belarus has de-facto assisted Norway in exporting fish to the Russian Federation after the food embargo imposed in 2014 and Norway imports potash fertilizers and metal products from Belarus. At the same time, Norway has traditionally provided generous support for Belarusian NGOs, independent media, and pro-democracy movements. In 2012 Ales Bialiatski, a Belarusian political activist known for his work with Viasna Human Rights Centre, received the Freedom of Speech Award of the Norwegian Writers Association. Also, the Norwegian government has provided financial support to the Polish-based satellite television channel Belsat, which aims its broadcasts at Belarusians. Domracheva and Bjørndalen hold biathlon records. Bjørndalen, dubbed the “King of Biathlon”, has won 13 medals in the Winter Olympics — more than any man in history. Domracheva lists as the most decorated female biathlete in the world with four Olympic gold medals. In 2014 she received the Hero of Belarus medal, the highest honour in Belarus. Domracheva and Bjørndalen first met during the 2010 Winter Olympics and married in 2016. The couple raise their daughter, Xenia, as a dual citizen of Belarus and Norway. Despite complicated political relations between Belarus and Norway, the Domracheva-Bjørndalen family alliance has successfully raised cultural and media awareness in both countries. The couple spends a significant amount of time in Belarus and frequently shares photos of their pastime activities with Instagram followers. Recently the couple has embarked on a road trip across Belarus with the hashtag #Norwegian in Belarus. I like the fact that Minsk is the second cleanest city I’ve ever been in. The city is incredibly neat, with beautiful parks. I can eat practically anything from your [Belarusian] cuisine. It reminds me a bit of the Scandinavian cuisine, the one I’m used to. I also like Belarusian milk. 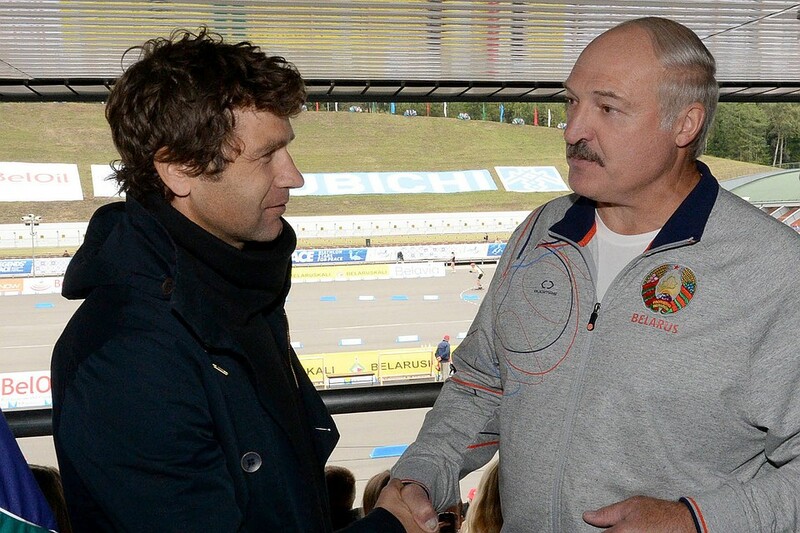 When Bjørndalen failed to qualify for Norway’s biathlon team for the Pyeongchang Winter Olympic Games, the Belarusian Biathlon Federation requested his inclusion in the Belarusian Olympic biathlon delegation. Bjørndalen coached and supported Domracheva and other members of the Belarusian team during the 2018 Olympics. On 25 June Domracheva announced her decision to quit a professional career in biathlon, citing the desire to spend more time with the daughter. 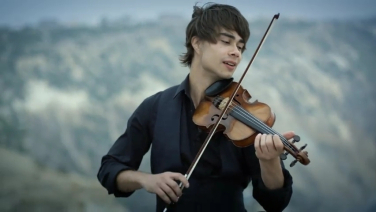 Alexander Rybak, the winner of the 2009 Eurovision Song Contest, represents another successful Belarusian-Norwegian integration experience. The Minsk-born Rybak emigrated to Norway with his parents at the age of four. Rybak’s parents, both professional musicians, continued their music careers in Norway and encouraged Alexander in his own musical pursuits. Rybak actively studied music and worked with a range of Norwegian musicians. In 2009 Rybak won the Eurovision Song Contest with his own song titled “Fairytale”, earning a record 387 points. Since then, Rybak has actively toured the countries of the former Soviet Union. Rybak has also participated in several Belarusian music competitions as a jury member. Rybak, a Norwegian citizen, cited warm feelings towards Belarus and Minsk, where his grandmothers live. This year Rybak represented Norway at Eurovision for the second time, although he failed to repeat his initial success. Despite the lifting the sanctions against the Belarusian officials, the probability of a reset in Belarusian-Norwegian inter-state relations remains very low. Only ground-breaking changes in the Belarusian state’s attitude towards democracy and human rights might trigger positive changes. As for economic cooperation, only serious changes in the situation with the rule of law in Belarus might bring significant investment from Norway into the Belarusian economy. So far, the Domracheva- Bjørndalen family alliance and Rybak’s success story serve as the reminder of a tremendous potential that Belarusian-Norwegian partnership holds. Incarcerated Jolan Viaud in the Homiel court. On 28 June, Alan Paul Smith, a British citizen incarcerated in Belarus for assisting illegal immigration, stopped his hunger strike after a visit from a British embassy worker. According to Mr Smith’s wife, he initiated the hunger strike to draw attention to violations of his prisoner’s rights in Belarus. In fact, poor treatment and disproportionate prison terms for foreigners mirror the commonplace judicial mistreatment faced by Belarusians. Significant media attention in Belarus of the trials of Smith and several other foreign visitors has highlighted the persistent problems of the Belarusian judiciary: draconian punishments for minor offences coupled with procedural irregularities. As Belarusian investigative committees, prosecutors, and police frequently work non-transparently and ineffectively, so the courts continue to issue disproportionate prison sentences. Apparently, paedophiles constitute a lesser danger in the eyes of the judiciary than teens possessing marijuana. The cases of two foreign citizens – a Japanese artist, Daichi Yoshida, and a French shop assistant, Jolan Viaud – once again called into question the nature of the Belarusian legislation. These two well-intentioned foreign visitors could have spent up to seven years in Belarusian prisons if not assisted by their families, diplomatic corps, human rights lawyers, and journalists. On 23 May, Yoshida left prison after spending two years in custody for illegal transportation of firearms across the Belarusian state border. Ironically, Yoshida even failed to step on to Belarusian soil properly: he flew from Kyiv to Tokyo with connecting flights in Minsk and Abu Dhabi. In his luggage, Yoshida carried various pieces of antique firearms, which he had purchased legally in Kyiv. The security service at Kyiv airport photographed the weaponry and allowed Yoshida to fly, only for Belarusian authorities to detain the transit passenger. In April 2017, the Minsk district court sentenced Yoshida to four years and six months for the illegal transfer of firearms. 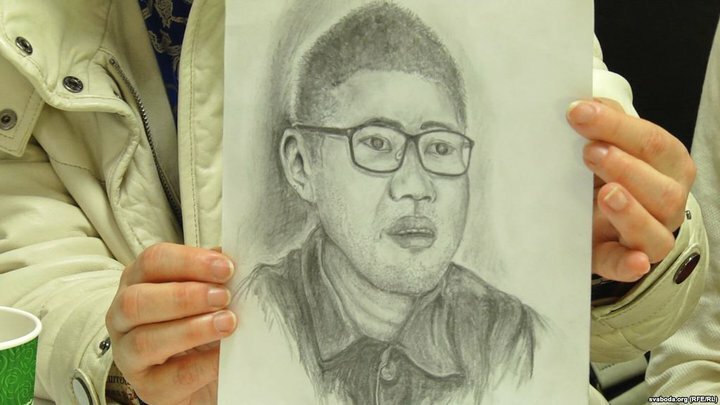 While in custody, Yoshida’s physical and mental condition significantly deteriorated. After the two appeals from Yoshida’s parents and the media campaign in his support, the Belarusian president ordered a reduction to his prison term. As a result, the supreme court’s judicial collegium changed the verdict citing “excessive severity of punishment”. A similar case in 2017 concerned the French tourist Viaud, when the Homiel region court acquitted him of smuggling firearms. When Viaud travelled to Ukraine via Belarus, the Frenchman presented his souvenir cartridge in the “red channel” at Belarusian customs. According to Viaud, the customs officers spoke poor English and consequently misunderstood each other. As a result, the border officers transported Viaud to Homiel prison where he spent about two months. Initially, Viaud faced from three to seven years in prison, although intervention by French diplomats facilitated his release. Criticism bombards Belarusian courts for procedural irregularities during several opposition leaders’ trials. However, the cases of the hunger-striking British businessman, Alan Paul Smith, and a Colombian jewellery maker, Gedilane Giraldo Calderon, show that the non-transparent modus operandi of Belarusian courts and investigative committees also damage the lives of ordinary people, including foreign citizens. In particular, according to Smith’s wife, the Belarusian authorities failed to issue a proper arrest warrant, refused access to an interpreter, and failed to inform the British embassy straight after the arrest. Moreover, the authorities held Smith on remand for ten months before the trial. The Glubokoye court refused to call witnesses in support of Smith’s defence and provided incompetent translators for the Kurdish-speaking witnesses. Smith never admitted guilt and appealed to higher courts. His health also deteriorated due to limited access to medical assistance. The case of the incarcerated Colombian citizen, Calderon, bears numerous similarities. 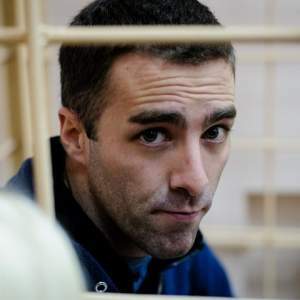 According to the blogger Alexander Lapshin, Calderon received six years in prison for a violent fight in a Belarusian nightclub. The authorities denied Calderon a Spanish interpreter during the trial. So far, not a single Colombian diplomat has visited Calderon in prison, and his case has erupted in public thanks to the efforts of bloggers and human rights activists. The prospects for Calderon look particularly gloomy due to the absence of diplomatic support from his own country. Unlike foreign citizens, especially Westerners with influential diplomatic corps, Belarusian citizens possess fewer opportunities to protect themselves against the injustices of the national judiciary. 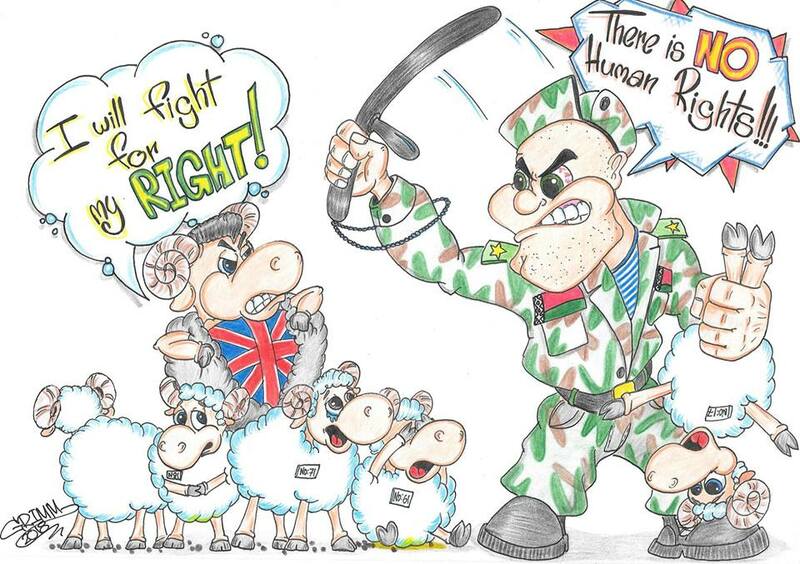 Some of them follow Smith’s example and go on hunger strikes. So do Belarusian political prisoners and the mothers of convicted teens for possession of soft drugs. Others appeal to higher courts and patiently wait to see whether their verdicts get amended. Belarusian legislation has a long way to go if it is to improve. Instead of applying harsh sentences for minor drug-related and non-violent offences, legislators should focus on preventive measures. Moreover, the Belarusian public should obtain better control over the work of courts and investigative committees in order to challenge their long history of non-transparency and human rights abuse. Prison conditions should also improve as prisoners’ treatment in Belarus remains among the worst in Europe. Only humaneness combined with the rule of law will heal Belarus’s historic wounds and clear away the remnants of the Gulags’ legacy. As for foreigners travelling to or through Belarus, the above-mentioned cases should serve as a warning. The trafficking of antique firearms across the Belarusian border, even via a transit flight, qualifies as a serious criminal offence. 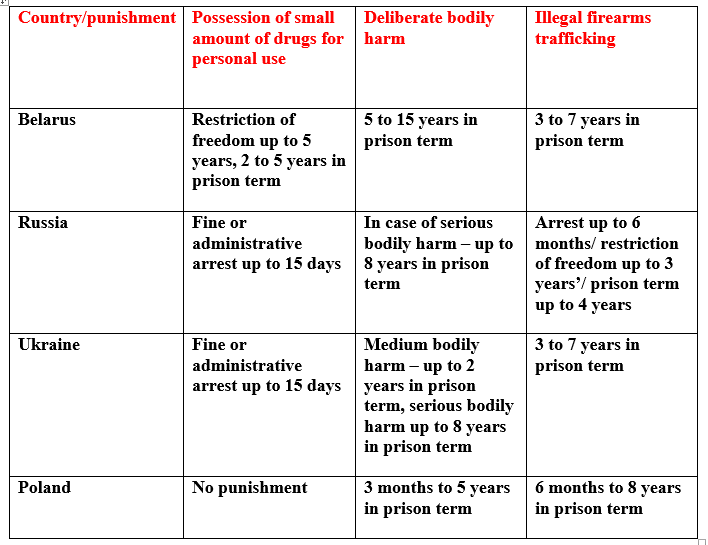 Possession of soft drugs for personal use, including marijuana, brings a prison term from two to five years. Engaging in a violent fight could result in a prison term of up to 15 years.